Keep your car maintenance in check with these facts about scheduled car maintenance. 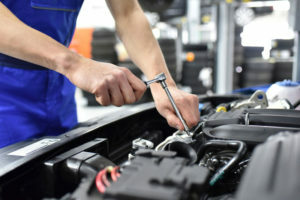 When it comes to keeping your car safe and in great condition, it’s important that you stay up on your car maintenance. From oil changes to tire rotations, it’s important that you take your car in for servicing when it’s required. However, sometimes your mechanic schedules your maintenance for you. Find out what you need to know about scheduled car maintenance so that you can make the most of your car care. It’s All in the Owner’s Manual. When it comes to maintenance for your vehicle, you can find all that you need to know in the car’s owner’s manual. It provides a list of all the required maintenance and the time intervals under which they should be performed. Whenever your car is scheduled for maintenance, consult with your owner’s manual to ensure that it’s time for that service. Remember Mechanics Are in It for Business. If your dealership or your mechanic automatically schedules a servicing appointment, it’s important that you keep in mind that servicing your car, often means more business for them. While it may be time to take your car for routine maintenance, it’s important that you consult with the manual to ensure that your car needs that servicing. Keep perspective in mind so that you have the tools that you need to take proper care of your vehicle. Don’t Assume More Service is Better for Your Vehicle. You may figure that extra servicing may be beneficial to your car. However, that may not be the case. Stick to the manufacturer’s recommendations in your owner’s manual to give you an accurate idea of when your vehicle needs servicing. Learn how to keep your car servicing under control with this information about scheduled car maintenance. For added protection for your vehicle, invest in the right auto insurance. Contact the professionals at Robert J. Los Insurance Agency to find you the right insurance plan. Located in Hamburg, New York, we serve all your personal and commercial insurance needs.